This entry was posted in Alternative Medicine, Healthy Eating, Healthy Living, Holistic Health and tagged alternative medicine, health, medicine, nutrition. Bookmark the permalink. If you’ve been around the natural health world long, chances are you’ve accumulated a few (ahem, or in my case a totally insane number) of supplements and homeopathic and herbal remedies. Whether you’re trying to increase fertility while breastfeeding, gently help your toddler to sleep, naturally treat heartburn, or alleviate any number of conditions, your natural medicine cabinet may start to look a little chaotic. Or at least I hope I’m not the only one! It all started when I discovered a bottle of B-complex that I must’ve bought when I was pregnant last year. (At least I’ll use that as my excuse for forgetting about it!) I was happy to find it since my ND recently suggested that I continue taking B for extra energy. When I opened up the bottle though, all the tablets were warped and split, totally wasted. As I looked around, I realized that my many natural remedies and supplements were not being stored properly, which was proving to be an expensive mistake. It was time to do a little spring cleaning! Take all of your supplements out and put them on your counter. (Be sure none of them are within reach of little hands.) You might be surprised to rediscover all the healthy stuff you already own. When I did this, I found a long forgotten supplement that I should be taking while breastfeeding pushed way in the back. 2. Check the expiration dates. You want to make sure that you use your vitamins before the date listed on the bottle to maintain safety and effectiveness. If you find something that expired in 2011 (not that I found anything like that), get rid of it! 3. Check the bottle for proper storage instructions. When I started, I had some in the refrigerator, some in the bathroom, and some in the kitchen. I was surprised about which needed to be refrigerated. Pretty much all required a cool dry place, and I’m pretty sure that a steamy bathroom and above the stove where I was currently storing them did not qualify! If you’d like to check that your supplements are properly stored, here’s a quick rundown of what I found. 4. Organize your supplements and restock your cabinet. I moved plates that we don’t often use above the stove and moved the supplements over to a cooler, dryer shelf. When I put them back in, I organized them with one row for each member of the family and put them in order of the time of day we take them. After all, they won’t do any good if we don’t actually take them. You may find a different system that works for you. I also made a section where I can “go shopping” for extra supplements we already own instead of buying more. 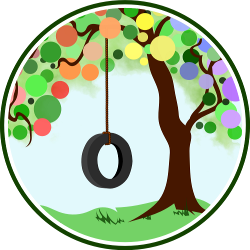 Make the most of all the natural supplements you already own, and do some spring cleaning natural-mama style! 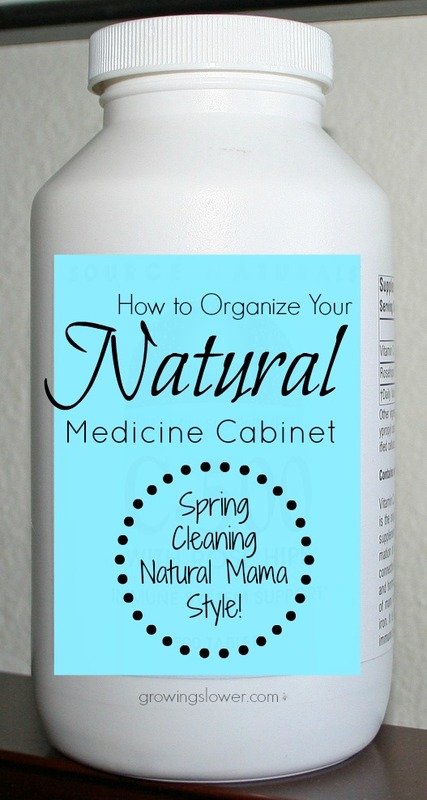 How do you organize your natural medicine cabinet? Shannon Brown is the founder and voice behind the blog GrowingSlower and the author of Natural Birth Stories: The Real Mom's Guide to an Empowering Natural Birth.